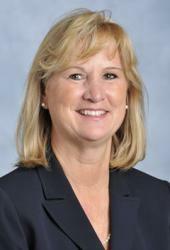 Vice President, Patient Services Kathy DeRuggiero is vice president of patient services for Johns Hopkins Medicine International. She collaborates across Johns Hopkins Medicine to ensure diverse patient populations from the United States and abroad receive quality care before, during and after their visit to Johns Hopkins. Click here to learn more about Kathy.